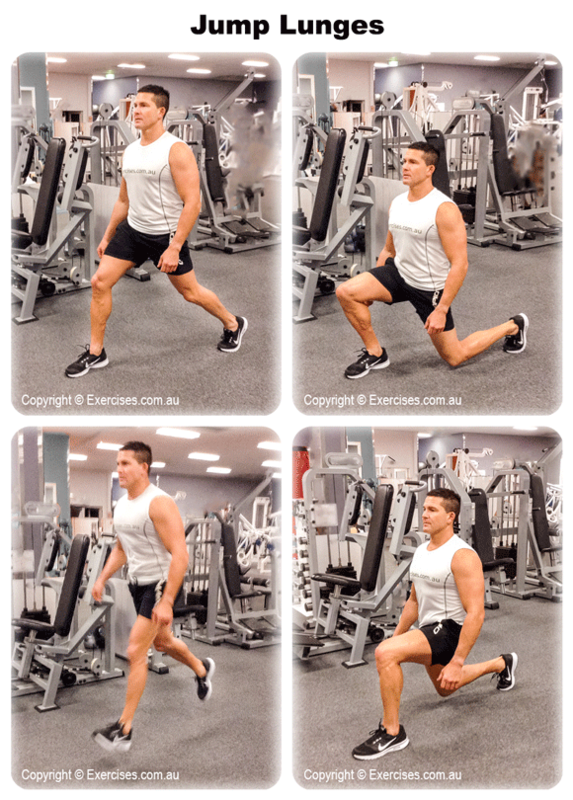 Jump Lunges is a challenging exercise that develops the quadriceps, hamstrings, gluteus and calf muscles. Because of the degree of balance involved, Jump Lunges also activates the core muscles in order to maintain stability in the upper body and support the lower back. More than a great exercise to build muscle, Jump Lunges is also an effective plyometric exercise. It will develop power, speed, coordination and conditioning. Jump Lunges can be used as a metabolic finisher at the end of a leg work out or as part of a high intensity interval program. Assume a shoulder width stance, tighten your core and perform a lunge. At the bottom position of the lunge, the knee of your forward leg must be over its foot while the knee of its back leg must be touching the floor and in line with the shoulder and the back foot must be on its toes. Your hands can be placed at your hips. Jump up by simultaneously pushing off with your forward foot and back foot and switch leg positions. The back leg comes forward, lands on the ball of the foot with the knee directly over it. The front leg moves back, knee touching the floor and back foot on its toes. 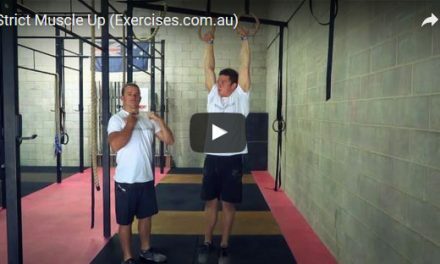 Keep your core tight and upper body in an upright position. Jump Lunges has a degree of balance involved. If this is you first time to do Jump Lunges, hold on to a barbell on the Smith Machine for better balance. Once you’ve developed better balance, do Jump Lunges with your bodyweight by placing your hands on your hips or behind your head. As you progress, you can do more explosive Jump Lunges by adapting a running motion with the technique. If you want more resistance, you can hold a pair of dumbbells while doing Jump Lunges. Frisbee For Fun In The Sun!